My officemates and my boyfriend always rib me about carrying the weight of the world in my shoulders all the time, and that's because I carry So. Much. Stuff. every day. 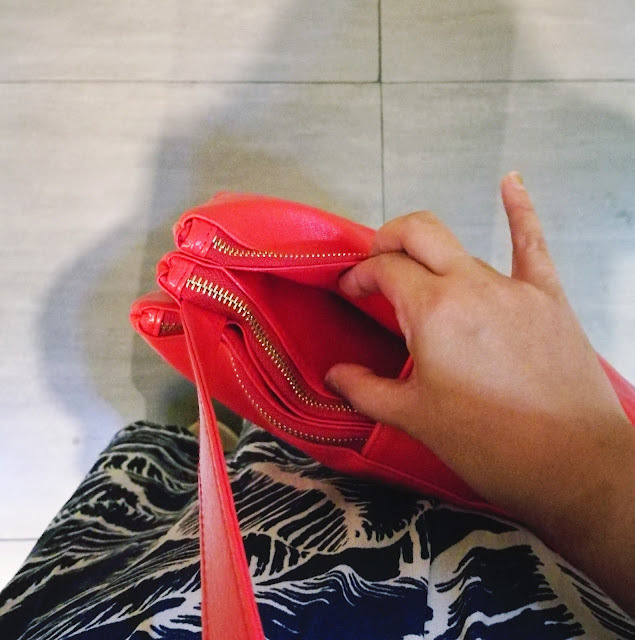 It's like I have my daily non-negotiable essentials but when I see there's still space in my bag, I stuff it with other things I don't really have a need for. Well, you never know if you would suddenly need 30 washi tapes, 20 different colored pens, and 10 different shades of lipstick, right? 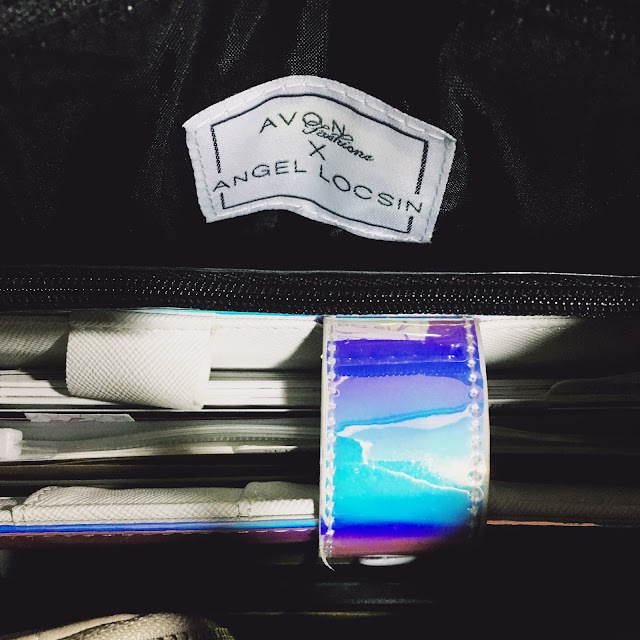 Last Thursday I attended the launch of Avon Fashions x Angel Locsin collection where Avon Philippines partnered with one of their stellar celebrity ambassadors to produce a collection of bags that are both stylish and practical. During the show I loved how each bag was shown to be worn and/ or carried in different ways, depending on when and where you bring it. My initial impressions are that they look roomy and durable. Upon closer inspection, they are made of high quality materials and there's not a stitch out of place. Perfect for me and my carry-all lifestyle! After all, Avon commits to embrace design with a purpose and produce fashion pieces that enable women to achieve more than just impeccable style. 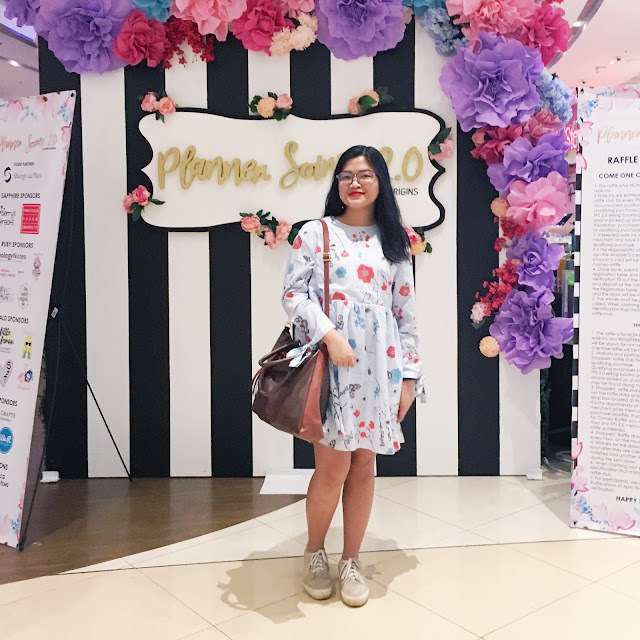 This just another way that Avon Philippines empowers women the same way they have been doing for 40 years now. I used these bags from Friday to today, Sunday, and I'd like to show you how they made my days easier! Because I am me, for work days I usually carry my pink or mint backpack for my daily essentials and another tote bag for my extra paraphernalia and other thingamajigs like my planner, extra book (as if I don't have my Kindle Paperwhite with me AND as if I have time to read), pencil case, et cetera. I prefer bringing a backpack to work because I walk to and from the office and prefer to have my hands free and to distribute the weight equally and not have it concentrated on just one shoulder. Can you imagine how silly I look with my backpack and tote bag? LOL. 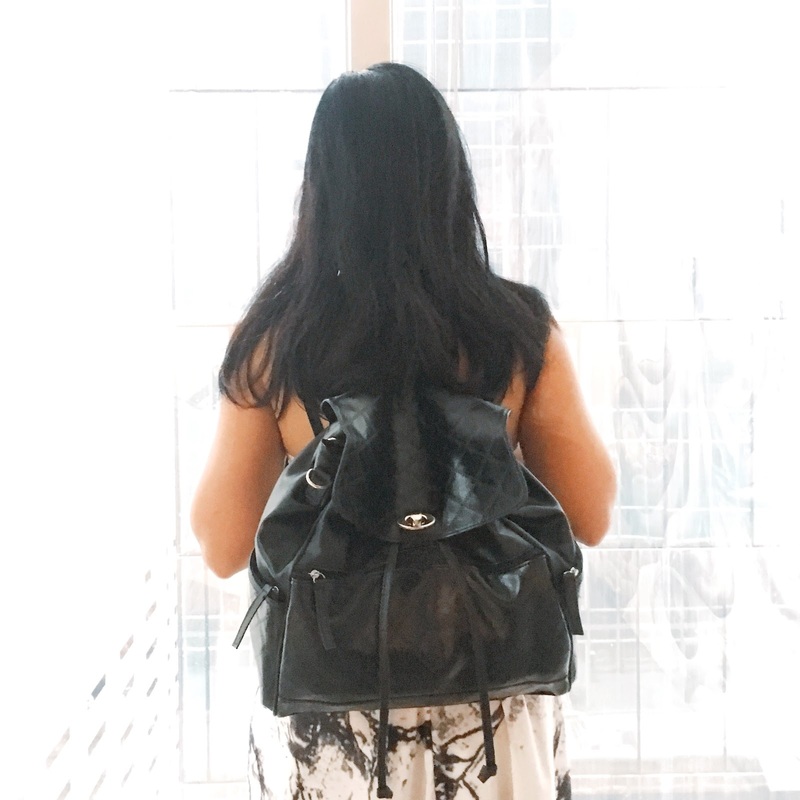 With the Angel Locsin Backpack, I didn't have to bring an extra tote bag anymore because it has so much room! Inspired by Angel, the Renaissance Woman, it's perfect for a spontaneous life that requires something one can just grab at a moment’s notice. The drawstring closure adjusts to every situation, and the zipped pockets keep essentials within easy reach. Aside from having a zip pocket outside and inside and compartments for phones and gadgets, it also comes with two clear zipped cases for your essentials. 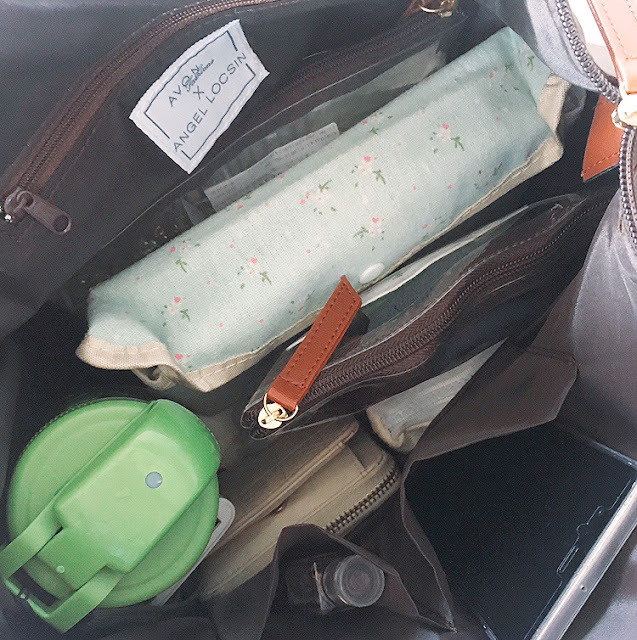 Last Friday I brought my Heidi Swapp Personal Planner, pencil case with at least 15 different colored pens and two washi tapes, umbrella, wallet, keys, case of glass straws, mini make-up kit for touch-ups, power bank, two phones, phone chargers, Kindle Paperwhite, hair scrunchies, hair brush, meds, facial tissue hand sanitizer, hand cream, and it still had room for more. It also didn't feel heavy at all. Depending on your preferences you can also adjust the straps and turn it into a sling bag or a shoulder bag. This is the bag I brought to the Planner Soirée 2.0. 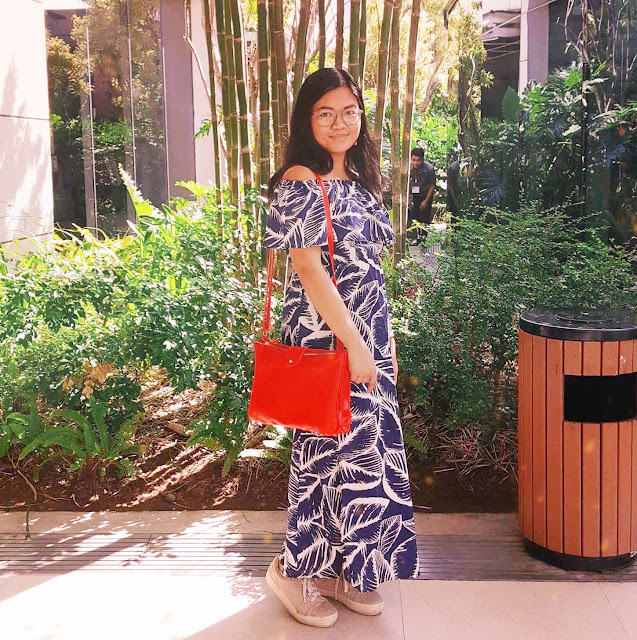 Inspired by Angel the She-EO, the Angel Locsin Everyday Bag transforms between a tote and a sling, in a classic color that can match any outfit. It has an adjustable strap, and has enough room to cover the whole day, and it happily carried my loot without adding extra weight on my shoulders! We didn't have any plans today except for church, so I didn't have to bring a lot. Still, I appreciate how this bag looks like it cannot hold much, but that is actually not the case! 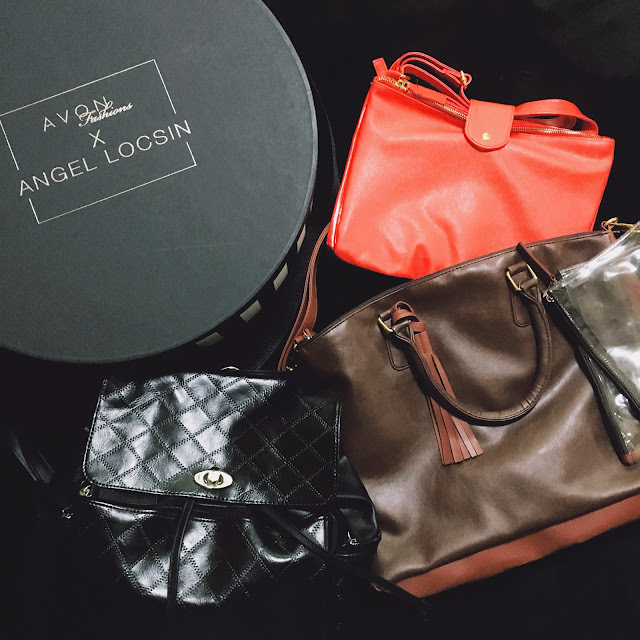 I also love the Angel Locsin Sling Bag's happy and punchy color, inspired by Angel the Screen Icon. I only brought my wallet, phones, powder, lipstick, and case of glass straws with me today. 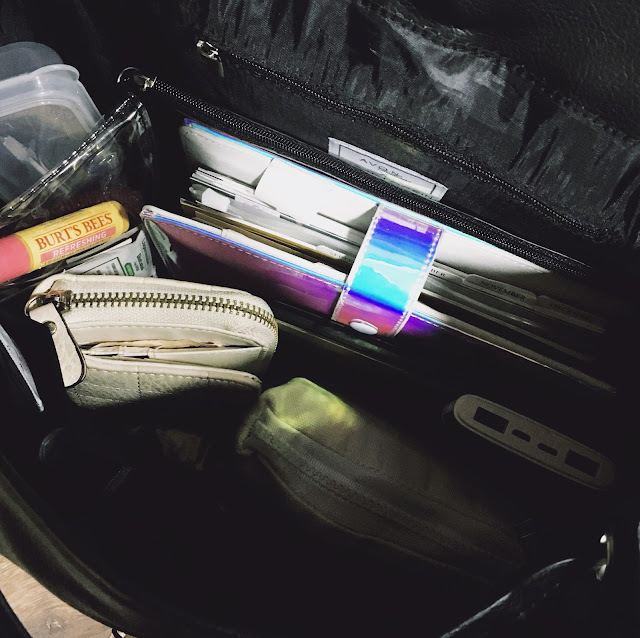 I love the three zippered compartments because I like organizing my stuff depending on how frequent I will be needing them throughout the day, but it was such a happy discovery when I realized you can actually put stuff in the non-zipped compartments, too! Perfect for things you need on hand without bothering with zippers, like your MRT card, office ID, facial tissues, or hand sanitizer! It can also transform into a sling bag, a shoulder bag, or even a fanny pack that's so trendy at the moment! Take every opportunity with no worries as Avon Fashions x Angel Locsin helps you stay in control of your day. 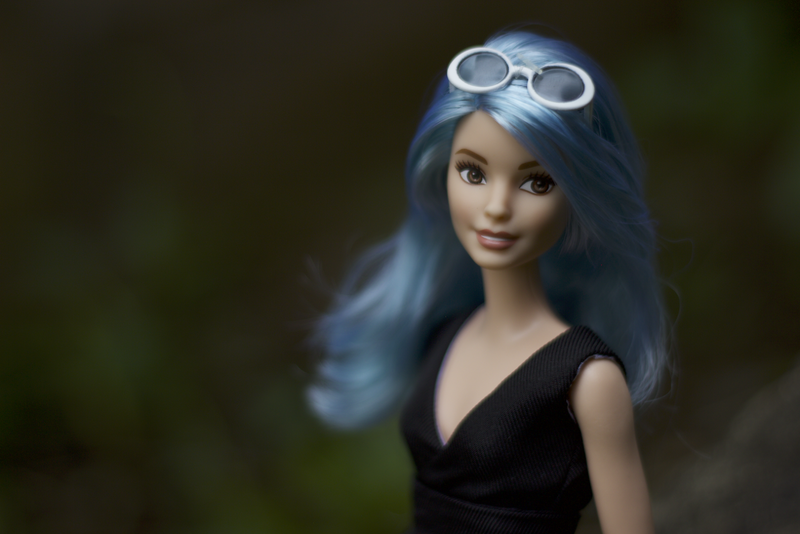 The collection will be available in October (that's starting tomorrow!) through any Avon Representative or AvonShop.ph. 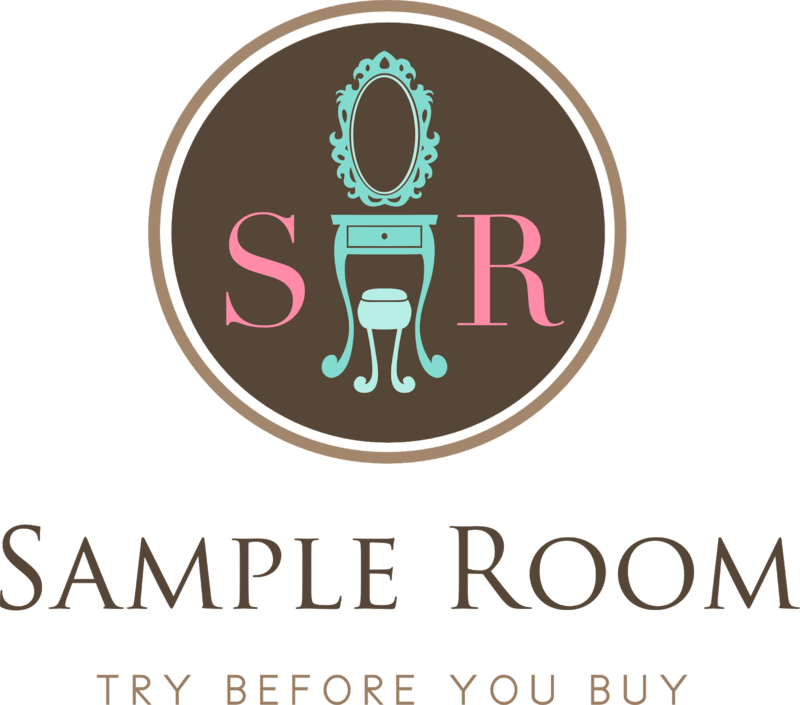 Don’t have an Avon Representative? 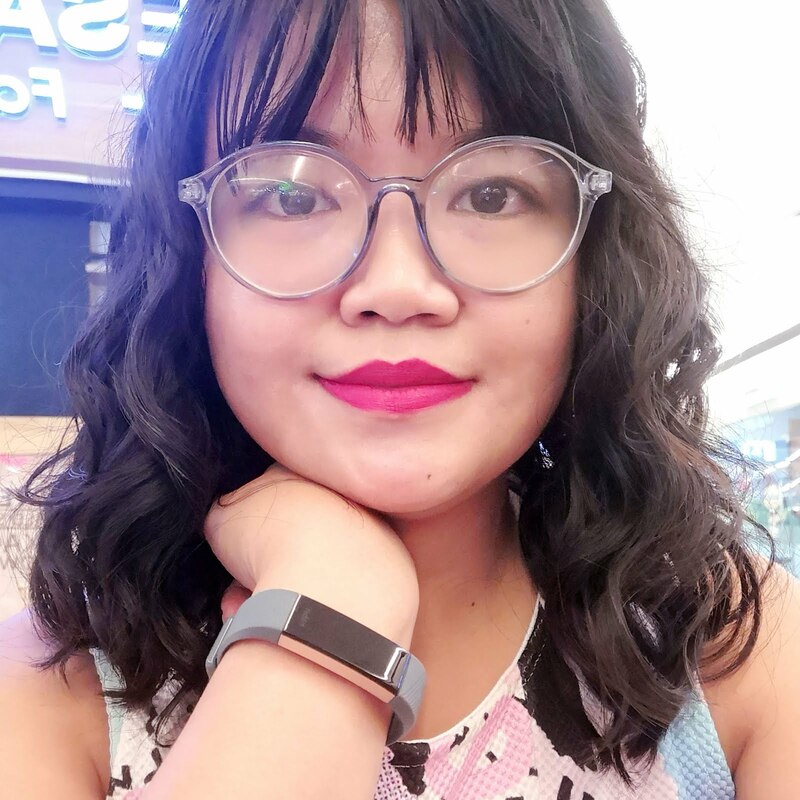 Visit Avon Philippines' website or like Avon Philippines on Facebook to find out how you can get in touch with a Representative.